Brexit Could Be Boon to Other Countries’ Jobs, Economies | Page 2 | Challenger, Gray & Christmas, Inc.
As Brexit negotiations continue, the prospect of the UK splitting from the rest of the European Union has churned the world of business, causing fluctuations throughout many sectors, according to one workplace authority. “Thousands of jobs are beginning to move, and although it is impossible to attach a price tag to Brexit, economists, consultants, and many industry bodies have published several reports on the possible impacts Brexit may have,” said John Challenger, Chief Executive Officer of global outplacement and executive coaching firm Challenger, Gray & Christmas, Inc. The most dramatic impact of the Brexit decision followed on the night of the decision itself. The pound suffered its largest one-day fall against the dollar as many currency traders bet that leaving the EU would lead to long-term economic costs on Britain. The pound has dropped 12 percent since it was valued at $1.47 just before the decision to leave the European Union. At one point, the pound plummeted reaching its lowest level in 31 years against the dollar. The inflationary impact of the vote has caused UK households to cut back, as food and oil prices jump. According to the Office for National Statistics, Retail sales, a crucial component of consumption, fell by 1.4 percent in the first quarter of 2017, making it the biggest quarterly fall since 2010, and many economists expect this to get worse as the year progresses. Although this depreciation may be a benefit to UK exporters, the cost of imports has in turn increased, which has also caused domestic inflation at a rate faster than worker’s pay. Business investment has also taken a hit since Brexit, as plenty of firms are uncertain on the effects this vote will have over future trade agreements with the rest of the EU, as well as tariffs and customs barriers. Investment fell by 0.9 percent in the final quarter of last year. According to the Bank of England, the level of business investment is predicted to be around 25 percent lower by 2019 in comparison to its pre-vote forecasts. “The chief executive of the London Stock Exchange has warned the UK’s vote to leave the EU could cost up to 230,000 jobs without a clear post-Brexit plan,” said Challenger. During the World Economic Forum in Davos this January, UBS Chairman Axel Weber said that 1,000 of the Swiss bank’s 5,000 employees in London could be impacted by Brexit, and HSBC chief executive Stuart Gulliver said his bank will relocate staff responsible for generating around a fifth of its UK-based trading revenue to Paris. Goldman Sachs is considering cutting its London workforce in half to 3,000 workers and moving key operations to New York and continental Europe, specifically Frankfurt, where it could move up to 1,000 staff. Other industries such as the auto industry are also being affected by Brexit. According to the Society of Motor Manufacturers and Traders, the number of cars built in the UK hit a 17-year high in 2016 and more cars are being exported from Britain than ever before, but failure to establish proper trade deals after Brexit could have severe effects on the industry. More than one in two cars produced in the UK in 2016 was exported to Europe. Like the car industry, the constructions and manufacturing sector is expected to lose a lot too, especially if Brexit restricts the free movement of labor. A report published in March by The Royal Institution of Chartered Surveyors states that the UK construction industry could lose 8% of workforce post-Brexit – almost 200,000 EU workers. Additionally, a study from consultancy firm KPMG showed that one in three manufacturing firms plan to shift some operations out of the UK due to Brexit. The food and beverage industry has also seen some trouble, as many suppliers have seen their costs jump, but continue to keep prices as low as possible to continue being profitable. Many companies have begun quietly shrinking the size of their products, a process known as “shrinkflation,” where prices remain the same, but portion sizes get smaller. Additionally, Brexit could have an impact on jobs within the leisure and retail industry. For example, The British Hospitality Association says restaurants have been unable to hire leading chefs from France and Italy because of the negative effects Brexit may have. The organization also states that many owners have been forced to delay or even abandon plans to open new restaurants. 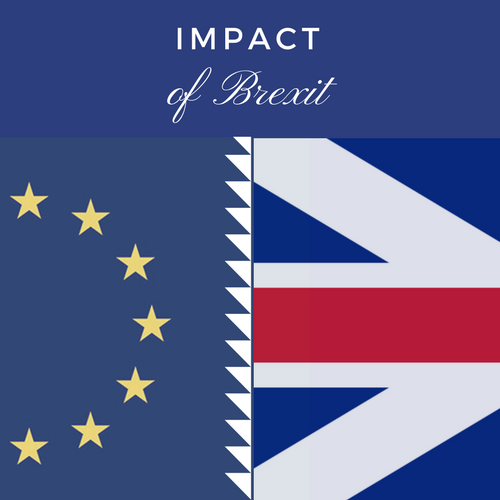 “It remains to be seen the full impact of Brexit on jobs both in the US and abroad. However, initial reports seem to indicate opportunities that would once help grow the UK economy may end up in other countries, as companies move their bases of operations and workforces,” said Challenger.